This summer has finally seen the resurgence of the Enchanted Herbal, with a half dozen new stories written for it, but more importantly, two good friends have agreed to collaborate with me on this with art and the editing of the book! That’s the second hurdle out of the way. The next hurdle will be finding a publisher, or sorting out how to publish it ourselves – more on this as I do some research and rummaging. Being a relatively unknown author I’m rather anticipating that we will have to fund a small publishing run ourselves, though I dread to think how much this will cost. It is, however, a dream of mine to get this into print, so something will come up to make it a reality, I am sure! I’m hoping eventually to have copies of the book available for sale. I’ve also got a second book in the pipelines on forgotten plants of Europe, which I think I may have already mentioned a couple of posts ago, and which I am now finally getting time to sit down and write, due to the continued rate of cancellations of workshops and consultations. Not good news for the bank balance, but very good news in terms of having time to create and write and start off some new ventures! 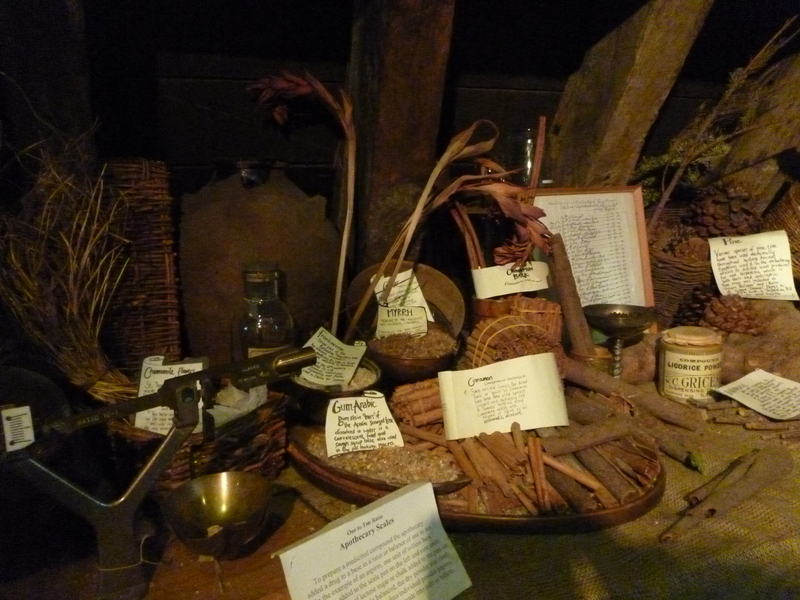 This month saw time spent with the Viking’s family and visits to the Chelsea Physic Garden again (loads better the second time as I knew what to expect) and a trip to the Herb Garret and Old Operating Theatre. Loads of food for thought, and inspiration for stencils, potionaries and house decorating hints and tips! The Herb Garret is an astonishing place packed full of bottles and jars and bundles of herbs – my ideal place, and pretty much what I would love my house to look like, though visitors tell me its probably not far off already, especially at this time of the year with bunches and baskets of herbs festooning all available surfaces! Speaking of house decorating, I’ve done a fair load more of that over the last month as well, and the bedroom is now a gorgeous deep teal with loads of stencilled details. This gave me the idea of having collections of crafted items that will be completed and listed for sale, all themed around specific ideas. The current one is, of course, Midsummer Night, and will hopefully be available in the shop by mid August. I had hoped to have it ready for purchase by the end of July, but with the two weeks spent being ill, I suspect that’s a rather vain wish. 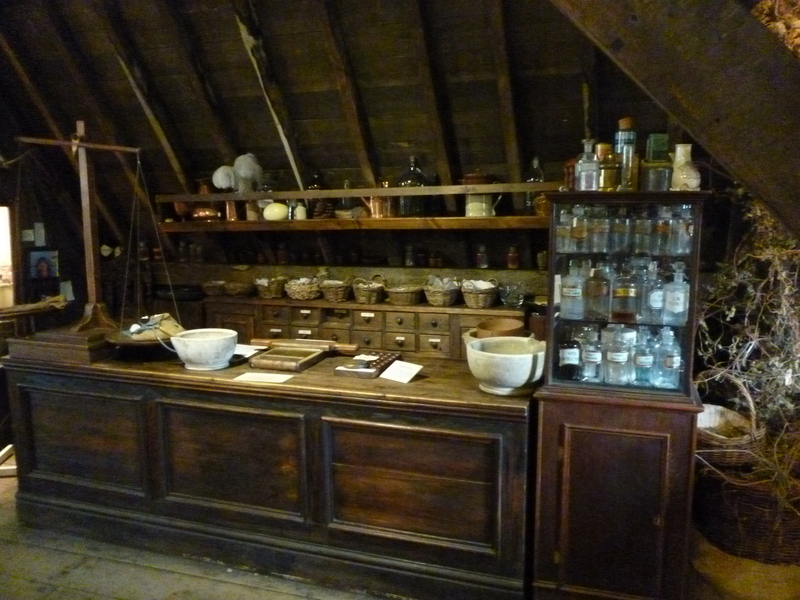 So far I plan to make a throw, a shawl, a bag with leatherwork details, jewellery, a couple of shrooms in glass boxes, and a potionary, having finally found a suitable cabinet. I haven’t made a new potionary in a long while, so I’m rather enjoying having another one to work on! Typically enough, the garden now resembles a jungle and there’s a glut of herbs ready for picking and drying, but it keeps raining! Pretty sure those who live on the south coast will glare at this post for grumbling about it as they’ve had rather a lot of dry weather there, but I must admit I wish we could have a couple of dry days now so I can get caught up before it all goes to seed! Summer blessings to you all – consider this a ‘filler’ post while I get back to work and produce something worth writing about in more detail!